A destination wedding provides memories that last a lifetime. It is imperative that you plan ahead of time for this monumental event. 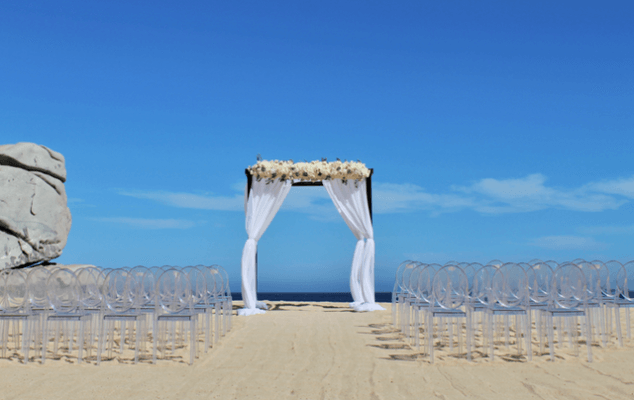 Start planning your Cabo beach wedding now so everything is in place when the big day arrives. However, do not be surprised to find that hiring a wedding planner is the most sensible option for you. Here are a few of the things you should consider. Don’t let the red tape get in the way of an otherwise perfect Cabo beach wedding. You and your fiancé will need to bring a valid passport. It is also necessary to bring a copy of your birth certificate. This document must be annotated and translated by an authorized translator who is certified in Spanish. Passports take time to process, and some lost paperwork that is needed may take even longer to get returned to you. A wedding planner will help ensure that you are aware of everything that is required of you so that nothing goes wrong on your big day. 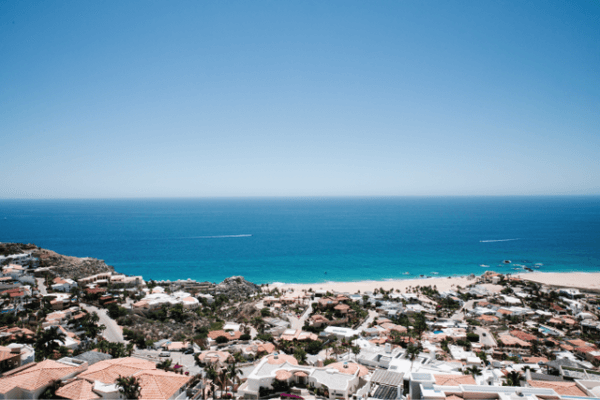 Though Cabo beach weddings are almost always flawless, you will obtain considerable benefit by taking a trip to this lovely locale before your wedding. An early visit to Cabo will provide valuable insight in regard to hotels, restaurants, beaches, activities etc. After all, you can only learn so much by reading information on the web. Experiencing Cabo is significantly different. So, hire a wedding planner and prepare some time to scout out Cabo with them. They will be able to show you several venues and options that align with your vision. If you don’t have time for a pre-wedding visit, don’t stress, your wedding planner should have plenty of information and images to send you so that you can pick the perfect setting. Planning a destination wedding is not an easy and seamless process, especially with language barriers. If your wedding is 10 months, a year or even a year and a half away, you likely think you have more than enough time to get everything in order. The truth is that it is never too early to start planning your beach wedding. You’ll need to consider everything from lodging to food, decorations, attire, vendors, invitations and so on. Prices differ considerably between Cabo hotels, private villas, venues and vendors. This means you will need to rely heavily on someone who knows the area and venues well. This is why hiring a wedding planner is the best option for brides wanting a destination wedding. It leaves the bride with plenty of time to coordinate travel with friends and family. Your guests will require advance notice in order to request time off from work and coordinate travel/hotel accommodations. Give your guests at least eight to ten months notice for your Cabo beach wedding. 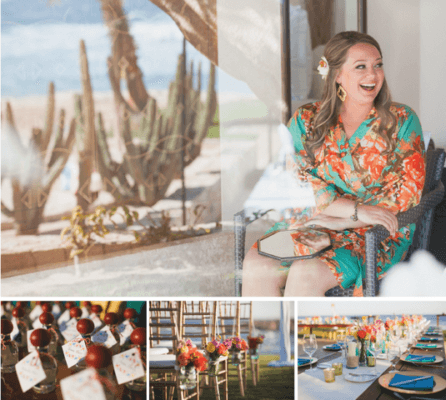 If you schedule a pre-wedding trip to Cabo, have your wedding planner coordinate meetings with popular florists and wedding décor rental companies. You should also consider vendor selections for hair, make-up and spa services for the bride and wedding party. 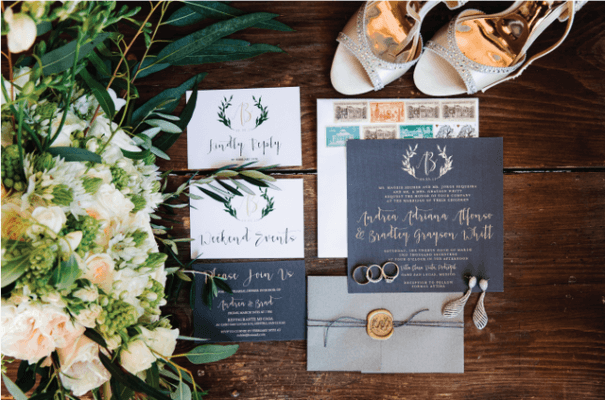 A wedding planner is sure to have some valuable insight as to which vendors are best and will be prepared to show you all the incredible options that are available. Cabo beach weddings are fabulous in every regard. The sun is almost always shining and the temperature is usually on the warm side. Opt for a “breathable” lightweight lace wedding dress so you don’t get too hot on your big day. Do not make the mistake of checking your wedding dress when you get to the airport. Do not let your dress out of your sight! Bring your dress with you on the plane. You might have to fold the dress to carry it aboard yet you can always have it pressed and steamed before your beach wedding ceremony begins. 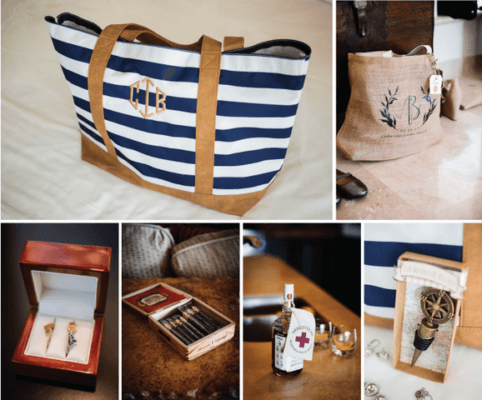 Spend some time brainstorming gifts for your wedding guests. Welcome baskets or bags serve as a meaningful expression of gratitude for those who have invested time, effort and money to make it to your Cabo beach wedding. Ideas for basket items include waterproof single-use cameras, flip-flops, bottled water, tasty treats, gift certificates to venues (ask your wedding planner for help with this!) and sundries from local souvenir shops so that your guests have a piece of Cabo to take home with them. Have a conversation with your significant other about your Cabo beach wedding finances. Figure out who will pay for what between the two of you as well as the guests. Social convention dictates guests pay for their transportation to the wedding and hotel arrangements. The groom usually covers his groomsmen’s rooms while the bride covers her bridal party’s rooms. Additional costs to consider are the reception, welcome party, rehearsal dinner, food, drinks and activities. 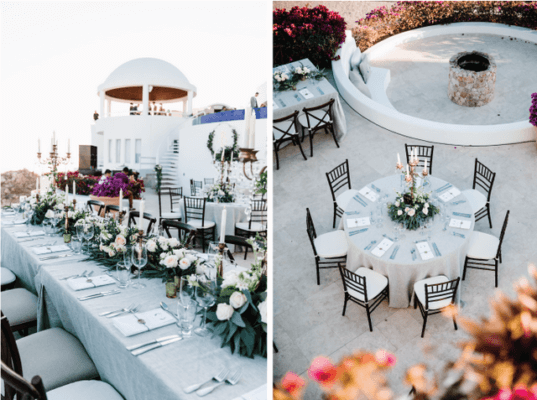 Having planned many weddings in Cabo, a team of wedding planners such as Creative Destination Events can discuss with you the typical costs associated with a destination wedding. Send out inquiries to everyone who has RSVP’d for the wedding to find out if special accommodations are necessary. Perhaps someone is a vegan, vegetarian or strictly consume gluten-free food. Maybe someone will bring an infant and requires a crib. Some couples with children might desire babysitting services. It is possible that the resort will provide such a service. Perhaps an older wedding guest needs a wheelchair. Figure out all these details ahead of time and make arrangements with your wedding planner so that they can ensure everything is ready upon your guests’ arrival. This way, brides can focus on the fun parts of wedding planning! This entry was posted in BEACH WEDDING, CABO WEDDINGS, DESTINATION WEDDINGS, WEDDING PLANNING and tagged Planning a Cabo Beach Wedding.